When most people think of “Methodism” and “poetry” together they naturally think of Charles Wesley. 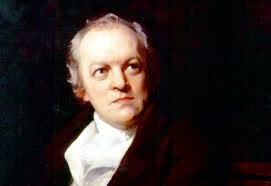 Indeed, it could rightly be argued that the great poet and hymnist shaped the Methodist movement at least as much through his poetry as his more famous brother did. 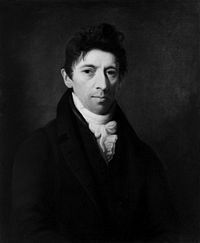 However, scholarship on Methodist poetry (scanty as it is already) rarely moves beyond Charles and, when it does, it mainly considers such religious poets as curiosities – it generally makes no attempt to regard such poets in their own terms and take them seriously as poets – it most certainly never considers women. Of no one is this truer than Agnes Collinson Bulmer. Agnes Bulmer was the most notable poet of second generation Methodism – her epic Messiah’s Kingdom runs to twelve books and over 14,000 lines, a scale of ambition rarely seen since Milton. It is certainly one of the longest poems of the nineteenth century and perhaps the longest poem ever written by a woman. And yet this magnificent and important poem has received no serious scholarly attention. This is due, in part, to long-standing elision of explicitly religious eighteenth century poetry in general and religious poetry by early evangelical women in particular. Though feminist critics have done an admirable job of reintegrating women into the canon over the past thirty years, religious women continue to be written out or, when they are included (as in the case of someone like Hannah More) their writings are largely considered primarily in terms of gender, class, or politics and rarely in terms of the more primary category of religion. This is especially true of writers like Bulmer who wrote almost solely on religious topics and who dared to do so in an epic poetic genre largely dominated by men. Instead of being considered for their own literary and cultural merits, these works have largely been laid to the side as the cliché moralistic devotional poetry of the religious fanatic. Indeed this is too often the case as religious writers of lesser talent (both women and men) often turned to scripture and sentimental cliché as a substitute for poetic vision; but it is not true of Bulmer, who used the materials she was given craft a cohesive and original poetic vision that speaks beyond its limited religious sphere to address the key moral, social, and political questions of the day in an original and powerful voice. That subsequent critics have not recognized this has more to do with our preconceptions than the actual content of the text. Agnes Collinson was born in London on August 31, 1775 to Edward and Elizabeth Collinson. Both her parents were devout Methodists and personal friends of John Wesley. She was baptized by Wesley and received her first Methodist class ticket from him in 1789. 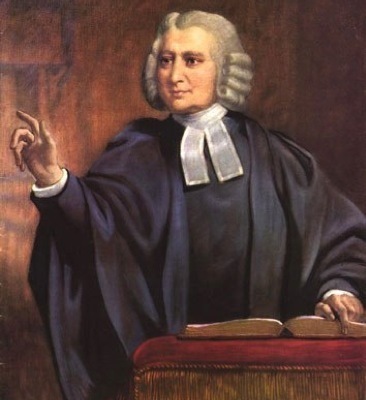 By this time Wesley was a venerated figure both within and without Methodism and London had become the one of the key centers of the Methodist movement. Here Agnes would have rubbed shoulders with the Methodist elite, her first class leader was Hester Ann Rogers and she also became acquainted with Elizabeth Mortimer – both major female leaders of early Methodism who present at Wesley’s death. Early on Agnes exhibited a keen intellect and a marked talent for writing. Her favorite book, aside from the Bible was Young’s Night Thoughts, a work that would have a profound influence on her later work. She also began composing poetry early in life and her first poem, “On the Death of Charles Wesley,” was published in the Arminian Magazine in 1788, when she was just fourteen. It is hardly great poetry, but it exceptional for a fourteen year old girl. She also contributed a longer, more polished poem, Thoughts on a Future State to the posthumous 1794 edition of Hester Ann Rogers’ famous Account. It is a far more developed poem and one that indicates the direction her poetic vision was taking – incorporating a thoroughgoing knowledge of Scripture with a keen ear for poetic diction. In 1793 Agnes married Joseph Bulmer, a London merchant and one of the stewards of the famous City Road Chapel. By all accounts the marriage was a happy one and Joseph’s relative wealth allowed Agnes the leisure to pursue both poetry and deep involvement in the Methodist societies. She was a frequent contributor to the Arminian Magazine, the later Methodist Magazine, and Youth’s Instructor. She also carried on an extensive correspondence with the luminaries of the second generation Methodism, some of which was published after her death as Select Letters (these are currently unavailable in an electronic edition – I have a copy and will be transcribing at a later date). 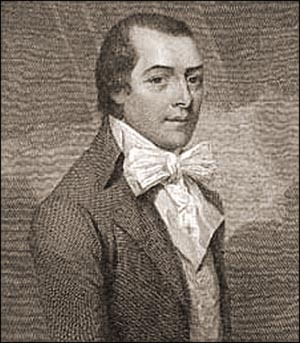 Some of her notable friends included the prominent Methodism theologian Adam Clarke and Jabez Bunting, the powerful leader of the Wesleyan Methodist Connection. It seems, however, than much of Bulmer’s greatest poetry revolved around and was spurred on by the experience of death. Her husband Joseph died in 1822 and her mother in 1825. It was after this second experience of nursing her mother during her final illness that Bulmer began her magnum opus: Messiah’s Kingdom. Published in 1833 in twelve books, Messiah’s Kingdom is a momentous achievement by any standards. At 14,000 lines it is 4,000 lines longer than its most obvious literary forbearer, Paradise Lost, and only 2,000 lines shorter than one of the longest poems of the Romantic period, Don Juan. Its scope is tremendous, beginning (like Milton) with the fall of man and proceeding through the major events of the Old and New Testaments, the establishment of the Church, the Reformation, and up to the contemporaneous evangelical fight against slavery and social ills. Its overriding theme is the establishment of Christ’s kingdom on earth, first through his redemptive work on the cross and then through the actions of the individual Christian in society. Not all passages of the poem are (or could be) this moving, but even Milton had his bad lines. 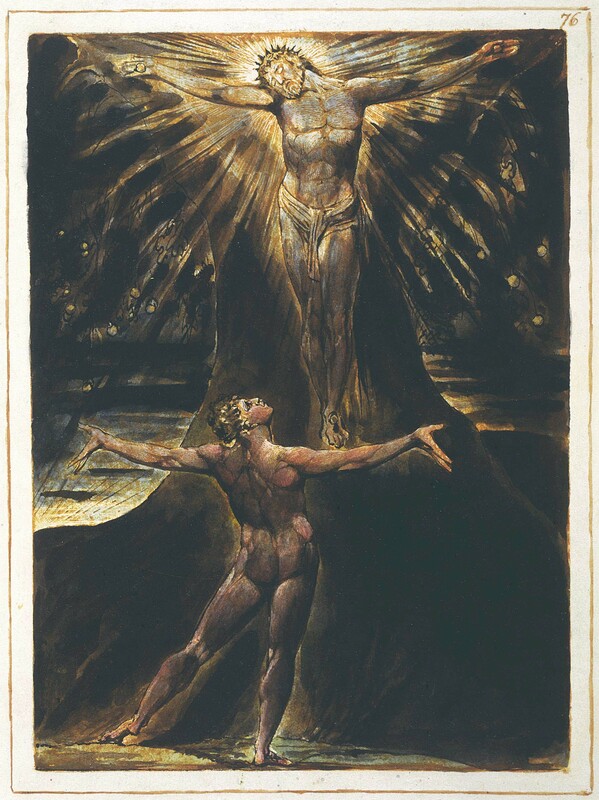 This style may not be to everyone’s taste, and Bulmer is no Milton, but the fact that Milton’s epic religious poem has be endlessly dissected and connected so clearly with social and political events, while Bulmer’s has not, says more about the state of scholarship on religious women poets than it does about Bulmer’s poetry. Bulmer is just as much of an engaged social poet as Milton was, she just exhibits this engagement in different terms in a different time and place. However Messiah’s Kingdom was not what Bulmer was most famous for, even during her lifetime. In 1836, after the death of her friend and Methodist fore-mother Elizabeth Mortimer, she edited the Memoirs of Elizabeth Mortimer, which became a bestseller on both sides of the Atlantic. She also wrote several volumes of Scripture Histories, prose re-workings of Biblical stories mainly targeted to children. Indeed, all of these works were picked up by the formidable Methodist publishing machine and circulated widely. This alone makes her a writer who deserves considerable attention. 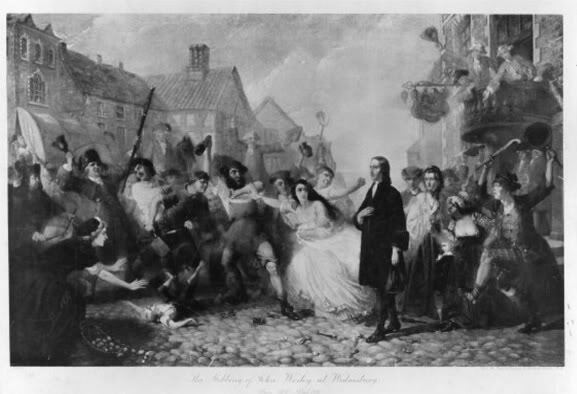 Methodist membership in England and America during the 1830’s was sky rocketing and it would be no exaggeration to say that a fair portion of the population was familiar with her work. This beautiful nature, rich in thought and in love, shy and retiring as regarded all public manifestations, yet abounding in the beneficent activities of private life, has a right its own peculiar place among our types of Methodist womanhood, exemplifying as it does the union of high intellectual gifts with a saintliness no less pure and true than that of any martyred and canonized virgin, though displayed in the quiet, sheltered station of an ordinary English matron. According to Keeling, Bulmer was skilled in the “activities of private life,” and an “ordinary English matron.” The fact that she was a serious intellectual and poet is secondary to her role as faithful Methodist wife and matron – it is just an added benefit. We cannot know for certain what Bulmer herself thought of this tension between gender and religion because she left no written record. After her death her Memoirs were edited and published by her sister, but they are mainly a collection of her extant pious letters that tell us little about her inner life. What we are left with, then, are her impressive literary productions which reveal a woman of deep learning, keen intellect, and immense poetic talent. If this record is any indication, Bulmer found a way of expressing herself despite a religious culture than confined women to a private domestic piety. It is my hope that, by drawing more attention to Bulmer and her poetry, religious women poets in general will begin to receive more attention from the scholarly community. For this reason I am embarking on sustained scholarly work on Agnes Bulmer on this blog. In addition to research on her life and work, I will be slowly transcribing and posting the entirety of Messiah’s Kingdom. Through the magic of Google Books, an entire facsimile text of Messiah’s Kingdom is now available online. However, this is truly a poem that deserves more scholarly and critical attention – attention that would be much assisted by a modern annotated critical edition. Since such an edition is unlikely to appear anytime soon and I am currently in no position to make that happen, I am in the process of making the complete text available here. As of today both the Introductory Stanzas and Book I are posted under “Primary Sources.” Over time I will also be creating eBook versions of the text (currently unavailable through Google), working up some annotations, and posting some of her letters and minor works. My hope is that making this fascinating poem more readily available will encourage more scholarship on Bulmer in particular and on early evangelical women poets and writers in general.